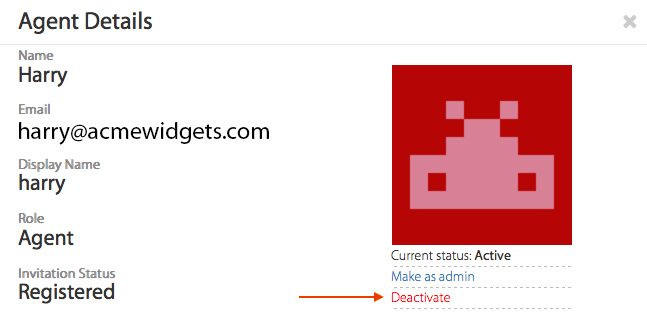 To deactivate an agent, go to 'Agents' tab in your HappyFox Chat account and click on Agent's tile. On the pop-up, click on 'Deactivate' located at bottom right corner. After clicking Deactivate, you will be prompted with a confirmation and on choosing 'Yes' the agent's account will be deactivated.